The famous fashion brand, Zodiac brings this shirt to give you a fashionable makeover. It flaunts a slub pattern that lends it a trendy look. Also, it features a chest pocket to add to its utilitarian quotient. 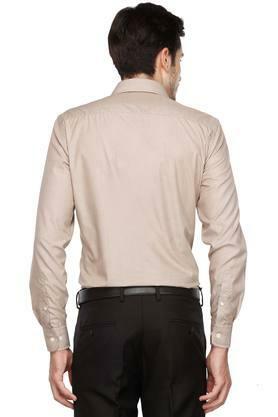 Moreover, it is made of a fine quality fabric that will ensure a comfortable touch to your skin for all day long. 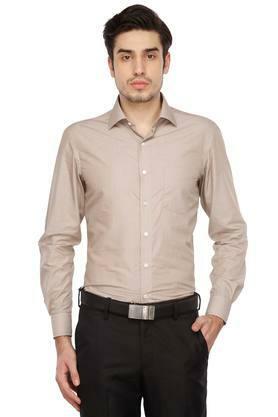 Add a tinge of style to your wardrobe collection by opting for this shirt. It will go well with a pair of chinos and derby shoes and make you look handsome in your corporate attire.